Families often go all out when preparing Thanksgiving dinner. After all, historically, it is a meal to celebrate the bounty of the harvest. So, naturally, most people end up with lots of leftovers after Thanksgiving. What do you do with all of the extra food? A spicy, herby broth makes for a warm, comforting soup on a cold November day. With this Vietnamese soup, you’ll put your leftover turkey carcass and meat to good use. This nourishing soup is perfect for the day after Thanksgiving as it’s light, but filling. Pho features rice noodles, a delicious broth and herbs like Thai basil, and chili if you like a bit of heat. The soup is easy to prepare. Simply get the broth boiling and allow the flavors to mix. Then, cook up the rice noodles, divide among the bowls and pour your broth over. Everyone will love this new version of the turkey that offers a completely different flavor. Looking for a hearty meal to serve that more closely resembles your Thanksgiving meal? Try turkey shepherd’s pie! This delicious casserole uses up plenty of your leftovers including the turkey, mashed potatoes, gravy and any vegetables you may have on hand. The secret ingredient? Cheese. This will make the layer of mashed potatoes all the more delicious. Simply pop this dish in the oven and enjoy a dinner everyone will love! Are you a meal plannter? You could even make an extra pan of this version of shepherd’s pie and freeze it for a busy week-night solution a few weeks later. Whether you need a hearty snack or a light supper, nachos are the way to go. What better way to use up your leftover turkey meat than a dish of nachos? In a few simple steps and using only a few ingredients, you can whip up these nachos just in time to enjoy a football game or play some board games as a family. Everyone loves nachos and this recipe will give you a break from the Thanksgiving-like foods while still using up that leftover turkey. Requiring just a few minutes of time to chop up some tomato, onion, chili peppers and regular peppers, these come together easily. Add your favorite dipping sauces like salsa, sour cream, refried beans or guacamole to dress up these nachos. A cobb salad with turkey is another great, light food to enjoy in the days after Thanksgiving. It will also offer a welcome change from regular old turkey sandwiches or heated up Thanksgiving dishes. The crisp, fresh lettuce and tomato offer refreshing veggies for stomach’s that are tired of gravy and mashed potatoes. Because the sandwiches feature lots of lettuce, they’re best enjoyed in whole-wheat pitas that help contain everything. You can adjust the recipe dressing as you please so that the whole family will enjoy these scrumptious sandwiches. Accompany them with some pumpkin soup for a perfectly rounded out meal. Do you love sweet treats? There are more to leftovers than turkey and potatoes. If you have some extra cranberry sauce, you can whip up these great breakfast or dessert turnovers. Complete with cream cheese, you’ll love the combination of sweet, tart and creamy in these delicious turnovers. The best part? They’re very easy to put together. Simply pick up some puff pastry, cream cheese and confectioners sugar. The rest of the ingredients you likely have at home. Because they’re so simple to put together, you can even enlist the help of children to make them. Enjoy Thanksgiving leftovers for breakfast when you make these sweet potato waffles. Many families enjoy a sweet potato baked dish for Thanksgiving, so if you have some left over, try this delicious seasonal breakfast. Featuring those fantastic pumpkin spice flavors, this is the perfect November morning breakfast! If you’re feeling very indulgent, you could even serve these waffles up with vanilla ice cream or whipped cream. Try these waffles for a lazy Saturday or Sunday morning breakfast that the whole family will love. This dish will use up leftover mashed potatoes in a surprising new way! Enjoy this dish for breakfast or dinner. The dish consists of marinara sauce topped with potato cakes and fried eggs with parmesan cheese on top. Cook each egg as preferred by your family to make sure the dish is loved by all. This delicious is filling and easy to put together. 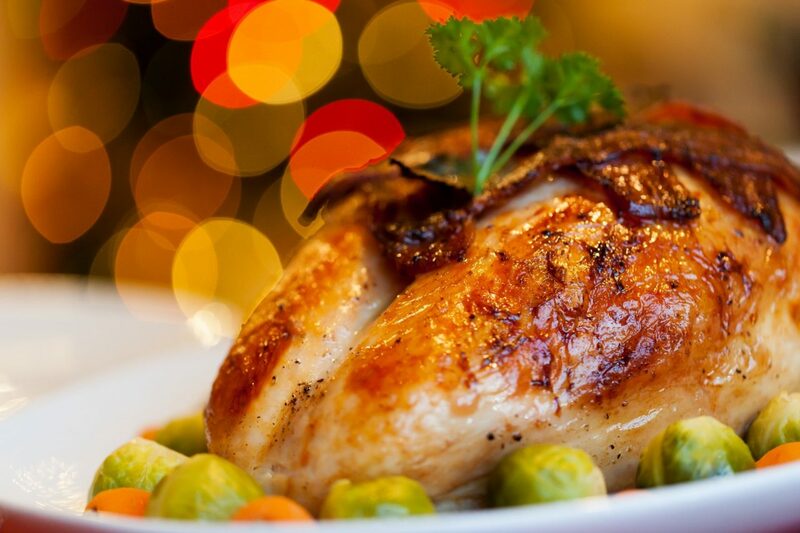 Make your life easy by using Picniic’s meal planner and shopping lists over the holidays. After you’ve packed up your Thanksgiving leftovers, you can plan out which meals you’ll make in the coming days. Our meal planner makes staying organized easy! Then, add any ingredients you’ll need to pick up to your shopping list so that when meal time comes you’re prepared. You can also keep track of the recipes in our recipe app. Then, mark the ones your family loves so that you can keep them in mind for meals later down the line. Yes, Thanksgiving may leave you with lots of leftovers, but that doesn’t mean you’re required to repeat the same meal every night for a week. With these creative recipes, you’ll be able to enjoy many different flavors, textures and dishes even if you do use some of the same ingredients. Do you have a favorite strategy or recipe for using up your Thanksgiving leftovers? Tell us about it in the comments!